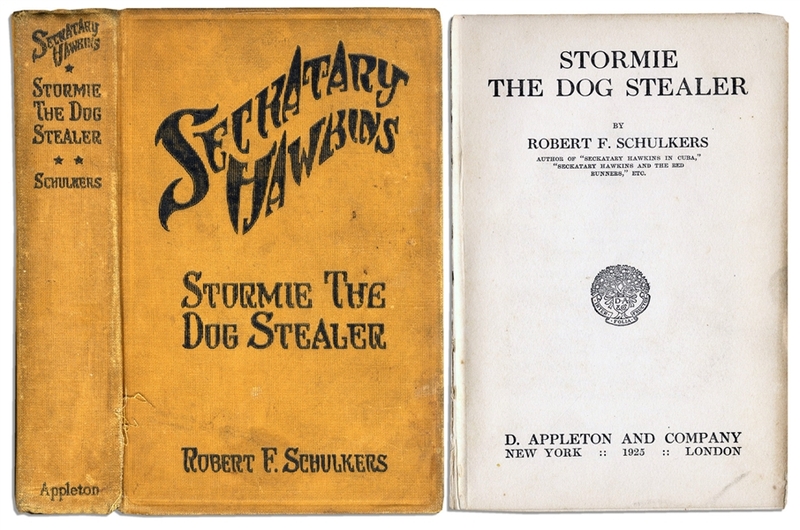 First edition of ''Stormie The Dog Stealer'', part of the Seckatary Hawkins series by Robert F. Schulkers. New York: D. Appleton & Company, 1925. This first edition is the rarest title in the Seckatary Hawkins series of children's books, which were popular in the 1920s and counted Harper Lee among their fans; Lee even mentions the Hawkins books several times in ''To Kill a Mockingbird''. Bound in yellow cloth boards with frontis and interior illustrations. Runs 293pp. Binding is slightly loose and a few pages are frayed or slightly detached, including the frontis. Overall very good condition.